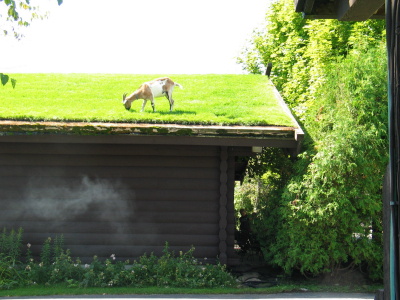 Madison, Door County and Kohler: Goats on the roof, fish boils and cheese shops. Discover the exquisite beauty of the Door County Peninsula in Wisconsin, with over 300 miles of scenic shoreline dotted with bustling harbors and quiet coves. Pristine scenery combined with hundreds of renowned artists and galleries, theatre, traditional Door County fish boil, one-of-a-kind shops and picturesque sunsets...small wonder Door County was named one of the top ten vacation destinations in North America by Money Magazine. Noon arrival in Madison, WI for an included lunch. Guided tour at Monona Terrace. Designed by Frank Lloyd Wright, the building's organic architecture is expressed in dramatic open spaces, circular forms and breathtaking lake views. Guided tour of the Wisconsin State Capital Building, view beautiful marble, mosaics and murals. 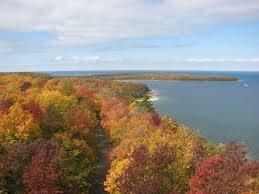 Depart for Door County, WI and check in to your AAA rated hotel in Sturgeon Bay. Fish Boil Dinner is included tonight, a dining experience only found in Door County, and one that everyone should experience at least once. A traditional Door County fish boil, features freshly caught Lake Michigan whitefish cooked outside over an open fire, just as it was one hundred years ago by the Scandinavian settlers of the Peninsula. After included breakfast, meet your step on guide and start your full day of touring . Over at Cave Point, view the picturesque limestone sea caves, the result of Lake Michigan's relentless pounding against the limestone bluffs. Get your cameras out. Tour the Bjorklunden Boynton Chapel in Bailey's Harbor. Crafted in ancient Norwegian style, the Chapel is ornately decorated with hand carved woodwork & 41 hand painted murals. Then take a guided tour at Seaquist Orchards- over acres of cherries, apples, raspberries and more to offer you a view of a working farm. Meatball Lunch is included in Sister Bay, look for the goats on the roof! Free time here to browse the main street shops. A drive through Peninsula State Park featuring its rocky bluffs ascending over 150 feet. The park has a rich heritage, from Potawatomis and pioneers to a girls' camp and state game farm. End with shopping in Fish Creek at Founder's Square, sight seeing and exploring the many galleries. Relax back at the hotel before your Sunset dinner cruise tonight. Breakfast and meet your guide. Guided tour at Door County Maritime Museum - Shipbuilding history, submarine periscope with WWII exhibit, ship models, refurbished pilothouse, lighthouse gallery. In Sturgeon Bay enjoy some free time to browse the shops and have lunch on your own. Visit and tour an award winning winery and the largest vineyard in Wisconsin. Tour a dairy farm, where everyone learns about the dairy industry, watch milking in the parlor through a 28-foot viewing window, sample and enjoy homemade treats from the Ice Cream Parlor. Shop in the Country Store for toys, gifts, food. Optional professional theatre performance tonight in Fish Creek. Breakfast at the hotel. Depart for Manitowoc. Stop at a Cheese shop, a family tradition for almost 50 years. Visit the Kohler Design Center. Dream, plan and get inspired with their beautiful kitchen and bath displays. Lunch included at one of the restaurants at the American Club. Afterwards browse over 25 stores at the Shops at Woodlake. Check in to your AAA rated, 3 Diamond hotel in Sheboygan, luggage service. Dinner included tonight in Sheboygan, along waterfront. Breakfast and depart for home. Package price will vary depending on selected hotels & travel dates.